Join us in Kelowna on August 25 and 26 for the annual Kelowna Dragon Boat Festival! Teams and spectators should be aware that in the instance of heavy winds, races may be delayed. Please stay close to the race site for information. 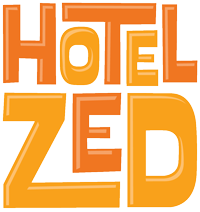 The 2018 Kelowna Dragon Boat Festival is featuring Hotel Zed and Accent Inns for accommodations during the festival. Mention you are participating in the Kelowna Dragon Boat Festival and receive a special dragon boat rate! Please stay tuned for information about our Paddlers Party!